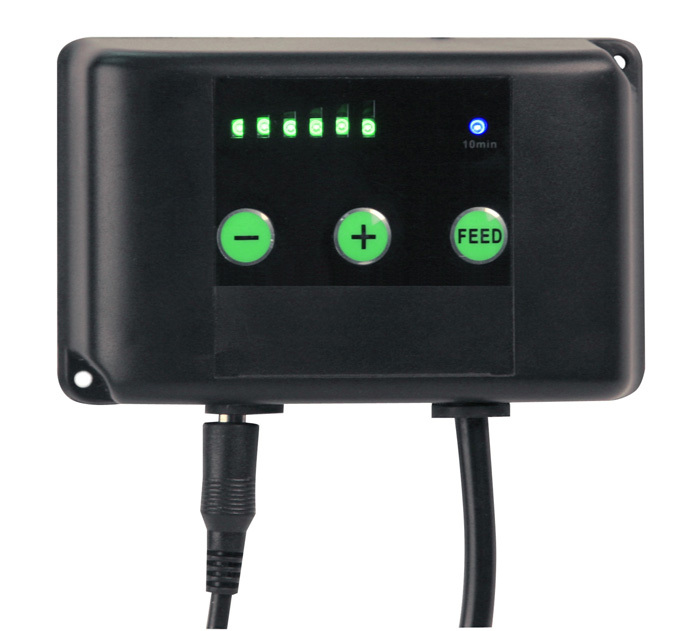 H20 Systems Inc. unveiled the Waveline DC-5000 at the Global Pet Expo in Orlando, Florida. DC pumps have several advantages, like lower power consumption, they can run substantially cooler and since the pump is a DC pump it can run off of a battery source or a solar panel. Power goes out, no problem. The CD-5000 is reported to consume 40W at the maximum speed pushing 1,320 gph. The DC-5000 has 6 adjustable flow rates and is packaged with a controller. The flow from traditional pumps was only controllable by restricting the flow by way of a valve. The new DC-5000 reduces the RPMs through the controller which also reduces the power consumption of the pump. This new line of pumps opens up several new possibilities. 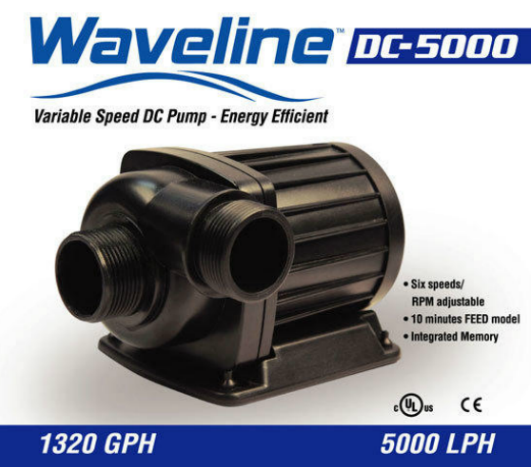 Add the DC-5000 to a closed loop system using the controller to vary the flow from the pump could possibly replace the need for wavemakers and powerheads. As their model numbers imply, the pumps are direct-current (DC). DC pumps are considerably more efficient than common AC pumps and allow variable speed control by ramping up/down the motor’s RPM. Greater efficiency also results in less heat transference to your water. The DC-5000’s MRSP is $239.99 USD. The DC-10000’s MSRP is $349.99 USD. lol steve you need to take out a second on your house. some of these vendors should be regulated. its real hard for the average joe that maybe disabled (like myself)to get any updated equipment! the only company thats decent is ecotech. they helped me a little to obtain one of thier products. but some of these prices go way beyond FAIR! !